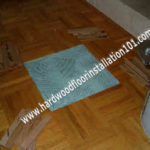 During installation, for whatever reason people are interested in whether it is possible to do hardwood floor repair in their home or apartment in case if they do damage. A positive answer will depend on several reasons; buyout will be discussed in this article. If your floor has been scratched on the several boards during furniture moving or even for any other reason, it is not a big deal. The main thing is to determine how deep those scratches are. Sometimes you can solve this problem by cleaning the damaged area and covering it with stain and finish again. If the scratches are deep, hire an experienced floor installer that repairs hardwood floor repair and is quick to solve this problem. To do this he will need to carefully cut the damaged board and replace them with new inserts. As a rule, this work takes from several hours to two days. Everything depends on the number of damaged boards. To be able to repair such a hardwood floor, carefully protect the remnants of the material after it is installed, as well as record the installer’s telephone number, who worked with your material. Professional floor installers do not recommend doing this job yourself. If your hardwood is damaged in many places, and completely lost its form, for example, because of the small scratches made by your pet’s claws, you can give it new life if you want to refinish it. Any floor refinishing depends not only on the depth of scratches, but also on the type of hardwood, and more precisely the thickness of the wood in it. This is especially true for engineered hardwood, which has a layer of wood from 1/8 to ¼ inch thickness. If you got a wooden floor after the purchase of real estate, before making refinishing, you need to know how many times this floor was sanded before? This question can be answered only by a specialist. If you face the decision of completely replacing the entire hardwood or refinishing it, I would have chose to refinish. This type of repair will save you a considerable amount of money compared to the new installation. What else should you know about hardwood floor repair? For different types of repairs you will need different specialists. Those professionals who deal with refinishing usually do not install or repair hardwood, boards and floor installers do just installing hardwood and replacing boards. 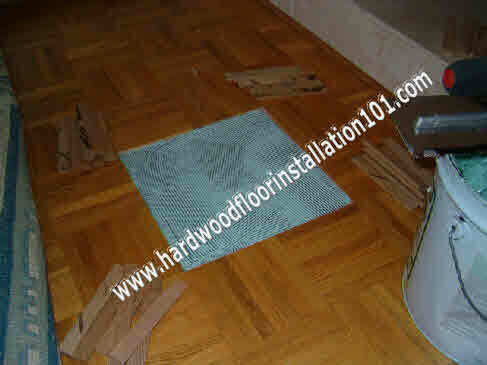 If you have recently installed new floor, to avoid a hardwood floor repair in the future, you just need to care for it. Remember that the wooden floor is much softer and significantly different from the tile, carpet, vinyl and linoleum. For more great tips on hardwood floor repair, visit our other posts.